Oh, California, you paradise, you far-flung western shoal, you frontier beyond purple mountains and fruited plains, you earth-shaking technological marvel, you never-ending party — California, you’re the land of good news, where the economy booms and the culture is wildly, diversely, supremely cool. You’re the golden realm at the end of our national rainbow. Sure, education is complex. Lots of things do matter for school quality. A school’s dashboard should keep that in mind, even when they’re also trying to showcase it in a clear, simple way. That’s the balance that transparency and accountability systems need to strike. Last week, the land of good news got a dose of the other blend. California’s Department of Education announced a significant increase in the number of state schools falling into the bottom tier of the state’s accountability system. From 2016 to 2017, the number of bottom-tier schools for math and ELA performance approximately doubled (page 8 here). Schools appear to be especially struggling at showing academic improvements over time. Yikes. Twice as many schools in the red — the bottom of California’s five tiers. That sure reads like a wakeup call, like a signal that California needs to do a whole lot more to improve how its schools serve students. Well, that’s not quite how the state sees it. On Wednesday, the state Board of Education voted unanimously to tweak the numbers so more schools will show up in the orange category instead of red. They called the change a technical matter. Trouble is, slicing the numbers differently so that fewer schools appear to fall short of the state’s education goals doesn’t actually mean that fewer schools are falling short. It just means that the state changed the definition of its bottom tier of schools. Fix the schools or fix the benchmarks they’re expected to meet? Sure, as California’s Department of Education notes, the state established these expectations based on just two years of achievement data from the state’s new math and ELA assessments. And sure, the system’s color-coding was — like any system of rating schools — arbitrary from the start, always and already contingent upon a bunch of human decisions about what to measure and how much each should matter. Trouble is, California schools have priors on moves like this. Some of the state’s largest districts recently saw increases in their high school graduation rates — not because of jumps in student skills and knowledge, but because leaders lowered the requirements to get a diploma. So perhaps California leaders should be more careful when monkeying around with their already-complicated, already-multicolored system of school tiers. “That dashboard makes a great case for GreatSchools,” says Paige Kowalski, executive vice president for the Data Quality Campaign, referring to a popular school rating website. Perhaps the clearest lesson here is that systems like this are artificial. What does “red” mean anyhow, as far as school quality is concerned? What if we renamed the bottom tier “mauve” or “ochre,” or assigned each tier a representative animal instead of a color? What if we made the tiers three-, four-, or 10-dimensional? As a matter of substance, it wouldn’t matter. If we change the calculations or the system so that a school lands in the “red” tier, the “ochre” tier, or the “penguin” tier, it doesn’t change the underlying data. All of these are just proxies for actual skills and knowledge measured (as well as possible) on assessments. 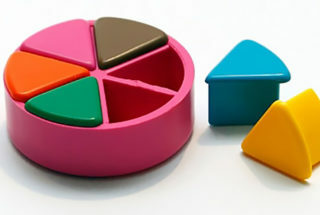 Take the government’s old “food pyramid,” replace that with a color-coded “MyPyramid,” and then a circular “MyPlate.” Doesn’t matter how you shuffle the depiction, the nutritional effects of eating cake for breakfast, steak for lunch, and two bags of tortilla chips for dinner remain unchanged. Change the proxy, fine, but don’t expect it to protect your waistline. And yet, proxies like this communicate to the public what a state defines as inadequate school performance. If that definition moves around whenever it gets uncomfortable, expensive, or politically inconvenient, pretty soon the system looks like a wholly trivial pursuit. Conor P. Williams is a senior researcher in New America’s Education Policy Program and founder of its Dual Language Learners National Work Group. Williams is a former first-grade teacher who holds a Ph.D. in government from Georgetown University, a master’s in science for teachers from Pace University, and a B.A. in government and Spanish from Bowdoin College.